"It was the sort of weather Kaeo is becoming famous for. 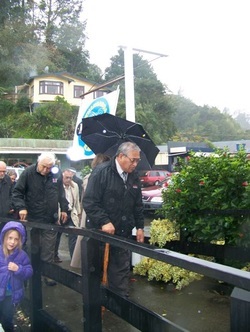 But the soggy start to Queen's Birthday weekend didn't stop a big crowd and dignitaries turning out for the opening of the Whangaroa Museum and Archive Society's new home. An estimated 100 people packed into the former Far North District Council service centre which the society bought last year to house its historic artefacts. Retiring Northland MP ... John Carter ... praised the society for its achievement. "It is great to see communities like this do something for themselves." He also congratulated members on the historical displays which he found fascinating. "What I've seen is outstanding." Far North mayor Wayne Brown said he loved to see the district's villages reinvent themselves so well. "Part of that is to restore the past." Museum president Michael Hayes said it had taken 24 years for the society to acquire a building with private donations and funds from the sale of Vernon Sale's book Whangaroa." An October 2013 newspaper report covers the AGM, provides information about the museum's displays, and indicates ways to become involved. NORTHERN ADVOCATE, 17 May 2014 - Book retells stories from Kaeo history - Colourful tales from what was the hub of a Far North town for more than a century are in a new book.In Praise of Our Post Office, by Whangaroa writer Fiona Craig, tells the story of the 102-year-old building's past life as a post office and telephone exchange. It is now the Far North District Council's Kaeo customer service centre and library. Craig told a packed Kaeo Library at the book's launch earlier this month her interviews with former post office and exchange employees made entertaining reading. Subscribers were so awed when the telegraph first came to Whangaroa they sang songs to one another down the line. A former worker recalled wind gusts in a storm once sucked away a lineman's false teeth as he barked orders to workmates restoring power. Postal staff remembered handling unusual items including a box of bees and a wooden leg. 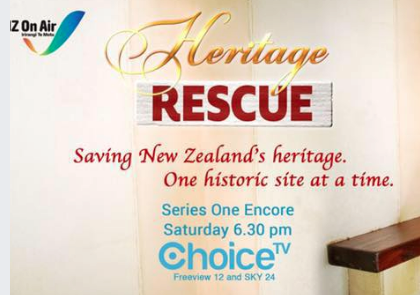 Craig also discovered Whangaroa once had 14 post offices dotted around the hills, often the only means of communication for isolated folk. 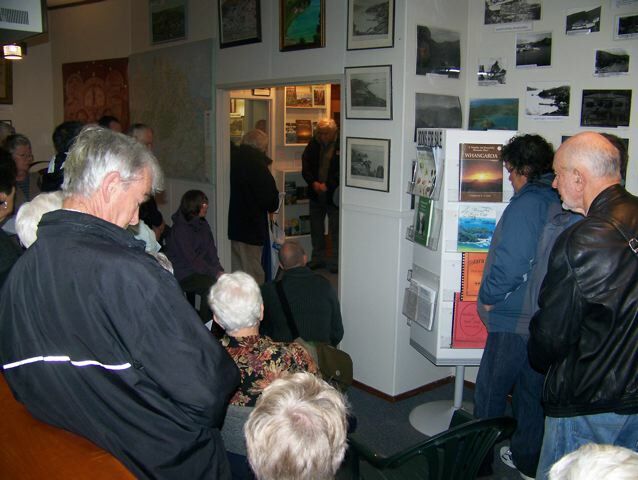 Twenty locals and the Whangaroa Museum and Archives Society contributed stories or helped with research. Craig singled out council governance officer Sheryl Bainbridge for commissioning and helping secure finance for the book. The Bay of Islands-Whangaroa Community Board was one of several organisations that provided grants. A World War I Commemorations fund, administered by the Lottery Environment and Heritage Committee chaired by councillor Sally Macauley, also gave funding for the book.